Grand Junction, Colo., is now the first city in the U.S. to fuel its vehicle fleet with natural gas produced from human waste. The solids at Persigo have been processed for decades so they can be safely dumped at a landfill. That processing produces methane, which the plant used to just burn off into the air. Yet, using more infrastructure to further refine that methane, they now end up with natural gas that’s chemically identical to what’s drilled from underground. Grand Junction has been replacing an aging fleet of garbage trucks and city buses with compressed natural gas vehicles, fueled mostly by the human sourced gas from the treatment plant. The city’s wastewater services manager, Dan Tonello, says Grand Junction is the first city in the nation to do that. Joanna Underwood is the President of Energy Vision, a non-profit dedicated to expanding the use of this renewable natural gas, or RNG. She applauds the Grand Junction project as a common sense way to both save money and lower greenhouse gas emissions. 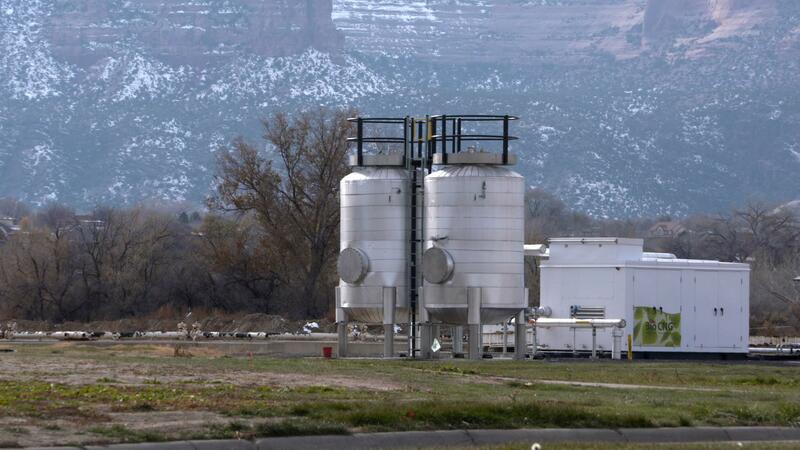 The renewable natural gas project in Grand Junction cost $2.8 million. It will pay for itself in seven years. “That’s a model for small wastewater treatment plants anywhere in the country,” she said. She points out there are other sources for RNG beyond human waste. We interviewed Underwood in the ground-floor restaurant of a Denver Hotel and she started walking among the tables, pointing those sources out: the ham and eggs left over on customers’ plates, their unfinished toast and the coffee in their cups. Natural gas can be made from food waste too. Right now, food scraps from restaurants are being collected along with that from grocery stores and large food manufacturers all over Colorado’s densely populated Front Range. In a few weeks it will all be heading up to Northern Colorado, where the Heartland Biogas Facility is in its final stages of construction. It basically does the same thing as the Persigo treatment plant does with solid waste, but on a much bigger scale. “It’s very unique. It’s one of the largest in North America,” said Bob Yost. His company, A1 Organics, is partnering with the Heartland facility to coordinate all the food coming in. Yost said there could soon be 25 to 30 semi loads of food waste making its way to the plant, where it is then mixed together with manure from a local dairy. It turns out the best way to get the most natural gas from waste is to process a balanced diet of both food scraps and animal waste. After the facility extracts the RNG from the waste, it’s injected into a pipeline along with fossil natural gas, feeding a nationwide delivery system. 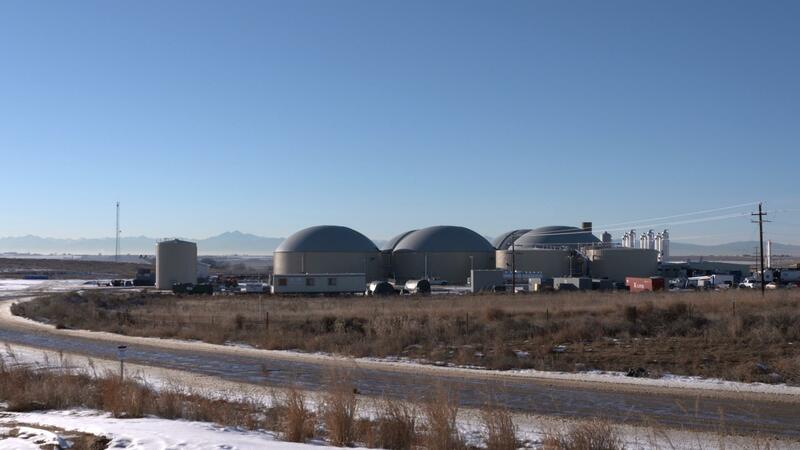 The Heartland Biogas facility in Weld County, Colo.
Joanna Underwood of Energy Vision, she says if all the organic waste in the country was gathered, current technologies could produce enough natural gas to replace about half of the diesel fuel used in the US transportation sector. So, not a replacement for the traditional oil and gas industry by a long shot, but Underwood argues practical solutions to climate change have to be assembled piece by piece. And it’s a piece to which we can each individually contribute — about one cubic foot of natural gas per day.